The Oriental Research Institute (ORI), set up in 1891 by the then maharaja of Mysore, is a magnificent heritage building, blending architectural styles such as Gothic, Corinthian and Romanesque, and housing nearly 60,000 palm-leaf manuscripts from antiquity. What brought fame to the institute, however, was the discovery among them of Kautilya’s Arthashastra some 100 years ago. 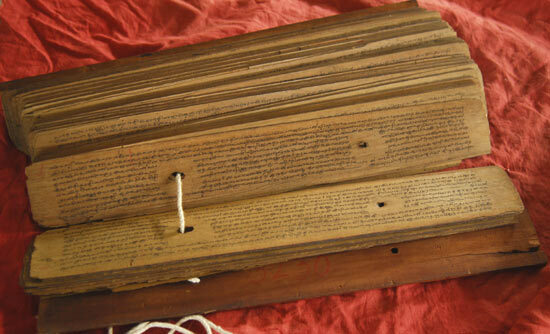 A manuscript of the treatise on politics and governance, believed to have been written circa 4th century BC, was found and identified by Rudrapatna Shamashastry, a refined scholar of Sanskrit who was the librarian and later the curator of the institute. 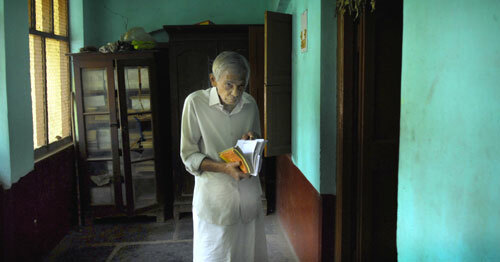 Shamashastry came across the work in a heap of manuscripts he was going through. This was in 1905. But it was 1909 by the time he transcribed, edited and published the Sanskrit edition, making the current year the centenary of his landmark publication. 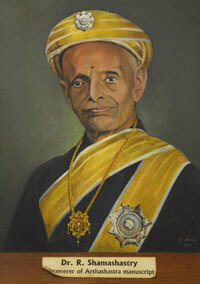 He then painstakingly rendered the work into English, publishing it to astounding ovation in 1915, by which time excerpts had already made appearances in journals like Indian Antiquity and Mysore Review, preparing Indologists across the world for the watershed appearance of the English edition. All the fame of the work and its discovery, however, do not seem to have inspired enough enthusiasm for careful preservation. Instead of a safe or a weatherproof glass case, the manuscript is brought out for viewing, after much persuasion, from an unlocked steel cupboard in the director’s office. A wrapping of red cloth, and a spray of preservative citronyl oil, is all the protection the manuscript gets. Prof Jaganath, an expert in manuscriptology at the ORI, puts it all in perspective. “Don’t expect an autograph of Chanakya on these palm leaves,” he says. “This is perhaps only a recopy of a recopy made some 500-600 years ago. It was with a pandit in Tanjore, who handed it over to the institute not knowing what was written on it. Other such recopies were found elsewhere in India, but that was later, after our discovery.” He explains that manuscript is in Sanskrit, but written out in the Grantha script, not Devanagiri. 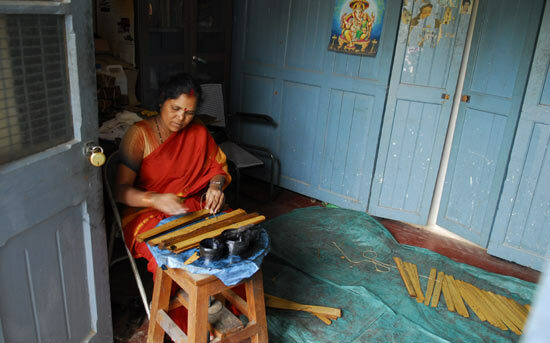 Since the Tamil script couldn’t accommodate certain sounds from Sanskrit, Grantha was created to allow for the representation of those sounds in a script accessible to those who know Tamil. Their uncertainty is at odds with the magnitude of Shamashastry’s discovery and the subsequent publication of Kautilya’s work. Dr H.P. Devaki, director of the ORI, says, “The publication of Arthashastra not only gave a huge fillip to Sanskrit studies, but significantly altered our understanding of ancient India. A lot of course correction happened in history after this was published. And since it touched upon subjects like law, politics, economics, trade, governance, diplomacy, war, weaponry, natural calamities, the vices and virtues of rulers, it also naturally attracted a lot of general interest.” Even the genius and skulduggery of its author Kautilya—who was also known as Vishnugupta or by the patronymic Chanakya—was in the realm of myth before the discovery of the manuscript. It was well-known that Chanakya overthrew the Nanda dynasty and installed Chandragupta Maurya on the throne circa 321 BC, but scholars knew of him and his magnum opus only from references in other classical texts by people like Dandi, Bana, Vishnusarma, Mallinathasuri, or the Greek Megasthenes. Not until Shamashastry’s labours of transcription and translation did it come to light that the original work was in 15 adhikarnas (or books) and a total of 150 chapters. The fame of Arthashastra and Shamashastry was so widespread that Krishnaraja Wodeyar IV, the then maharaja of Mysore, had a strange encounter in Germany. At a party, he apparently ran into the vice-chancellor of a German university and introduced himself, whereupon he was asked if he was from the land of Shamashastry. M.S. Srinivas, Shamashastry’s son, now in his eighties, says, “The maharaja was so overwhelmed that on his return to Mysore, he invited my father and felicitated him. He also had the large-heartedness to say, ‘In Mysore, I’m the king and you are my subject, but in the rest of the world, I’m known only through you.’” Accolades followed. In August 1919, the Oriental University, Washington DC, conferred a honorary doctorate on Shamashastry. Calcutta University followed suit in 1921; the same year, he was admitted to the Royal Asiatic Society and won the Campbell Memorial gold medal. Asked how the ORI proposes to celebrate the centenary year of the publication of Arthashastra, Devaki says, “We should do something and we will certainly do something, but then I am stepping down as director soon. My successor will make all the plans.” But Prof Jaganath says the best way to commemorate the event is to study properly the several commentaries that have been written on the Arthashastra after the 12th century. The manuscript discovered by Shamashastry also carried a commentary on a small part by a writer named Bhattasvamin. 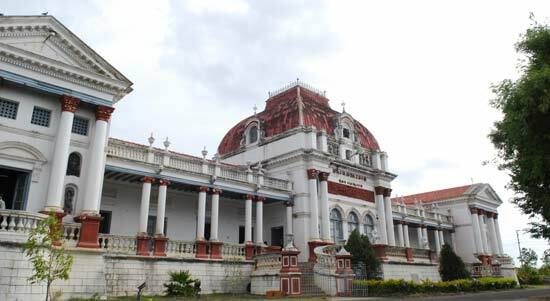 The Mysore University, under whose jurisdiction the ORI comes, was given a Rs 100-crore grant in the 2008 Union budget. Perhaps it should set aside a small sum to commemorate the discovery of this great work. At present, it is only the Kautilya Circle, a roundabout on Radhakrishnan Avenue, that serves as a reminder of Mysore’s great tryst with classical discovery.